Did we do something to anger you? I only ask because it seems as though you have been avoiding us. Here we are, the first week of June, and you are nowhere in sight. I can’t help but think that maybe you are feeling a bit hesitant about joining us this year. Maybe you had a great time hibernating during the months you were not with us, making you decide that you’d rather stay asleep a few more weeks instead of prodding your good friend The Sun in the ribs and making a good argument for spending some time with us. We’re pretty fun, you know. We like going in the pool and hitting baseballs in the backyard while our skin warms in the heat of the afternoon, and the hammock is all cleaned off and good to go. Basically, we’re ready whenever you are. Look, I even made a little something to celebrate your arrival. 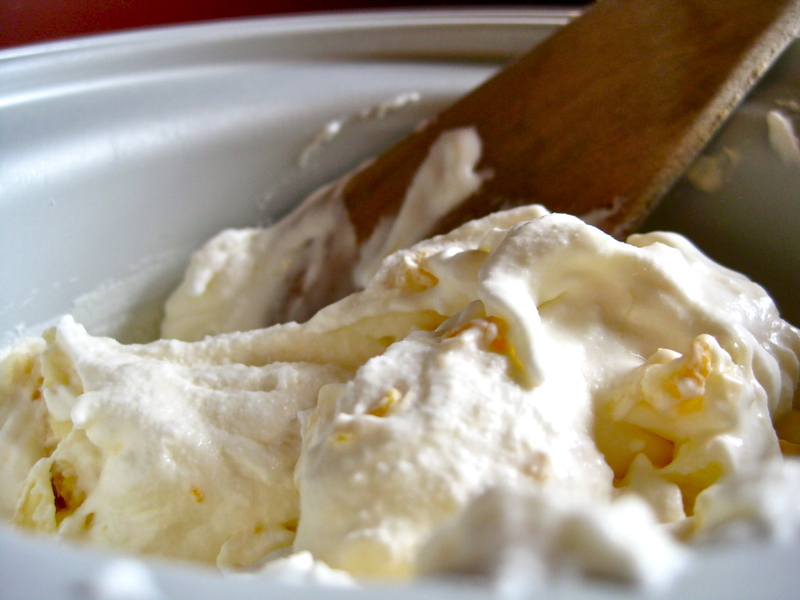 My husband’s family has this great ice cream recipe that I had been dying to make. I first tasted it at a family reunion last summer—remember that? You were sort of there, Summer, but mostly in name rather than in feel (it was extremely cold and wet last August, as you may recall, but I promise I am in no way holding that against you). Anyhow, my husband’s family made a huge batch of this ice cream. They took turns hand churning it, and when it was done they called to all of the children to come and have an inaugural taste of the ice cream straight from the dasher. All of the children were feeling uncharacteristically shy, so I swiped my finger against the dasher and demonstrated how non-poisonous and definitely delicious the ice cream was. As you may also recall, the children had a rather difficult time getting to the ice cream covered dasher after that, such was my devotion to gobbling that thing clean before anyone else could snitch a taste. I wouldn’t say I went so far as to push any children aside while protecting my ice cream sample, but that was only because I happened to be taller than all the children, allowing me to conveniently hold the dasher up much higher than they could reach, rendering unnecessary any sort of pushing or jostling on my part. So, I decided that, in anticipation of your arrival, I would make some of this ice cream. It is dead simple to assemble, and it tastes supremely fresh and cooling. 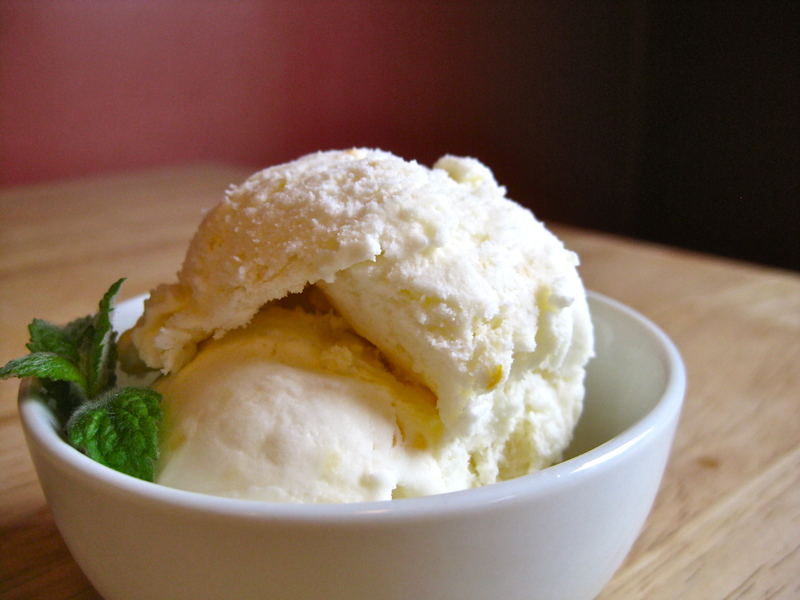 The ice cream is egg-free, but it has the smooth, soft, creamy texture of a custard-based ice cream. Do you know what the secret is, Summer? It’s the banana. The banana makes the ice cream so rich and luscious, you’d never know it was devoid of eggs. 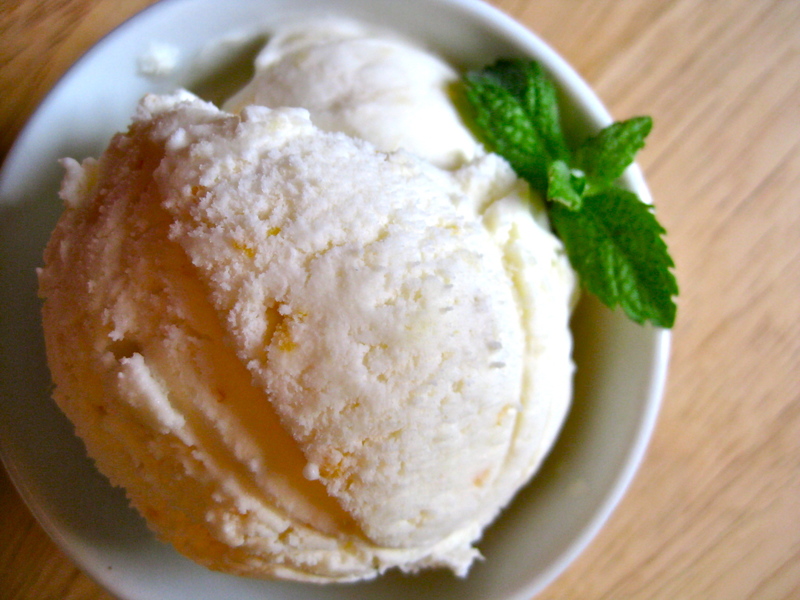 I tell you, this is the perfect ice cream to start with if you’re feeling hesitant about making homemade ice cream. It really is foolproof. Plus, the taste bears a strong resemblance to that of a Creamsicle, which not only gives it points for childhood nostalgia, but also for maximum enjoyability. I hope we see you soon, Summer. Rumor has it you’re going to be making an appearance this weekend, but, quite honestly, I can’t really bring myself to believe that prediction, what with how little we’ve seen or sensed of you thus far. Don’t get me wrong, I want to see you, but I don’t know if I can handle any more stilted anticipation. If you do happen to show up, believe me, I’ll be more than happy to eat my words—right along, in fact, with a nice bowl of this delicious ice cream. The original recipe, which uses three of each measure of ingredients, makes enough ice cream to fill a very large hand cranked machine. Since the ice cream machine I own only holds 1.5 quarts of finished product, I had to scale the recipe down by two thirds. This, technically, does not make the ice cream I made a combination of six threes, but rather six ones. However, since that name does not have nearly the clever ring to it as the original name, I have decided to just stick with calling it six threes ice cream. Still delicious, just not as abundant. If you have a larger ice cream maker, you should, by all means, scale the recipe up to make as much ice cream as you can. Note: Be sure to follow the directions and keep the dairy and citrus ingredients separate until the dairy has been partially frozen in your ice cream machine. 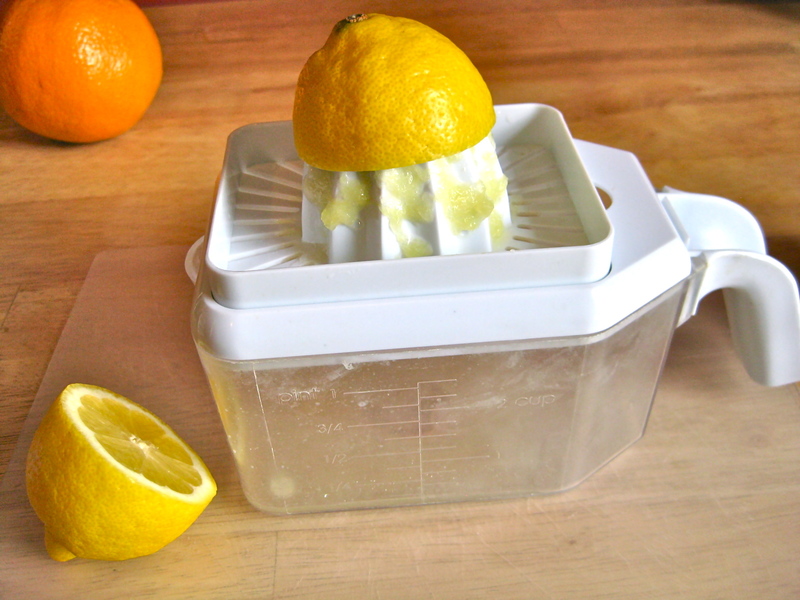 If you add the citrus to the dairy beforehand, the acid in the citrus will cause your dairy to curdle. 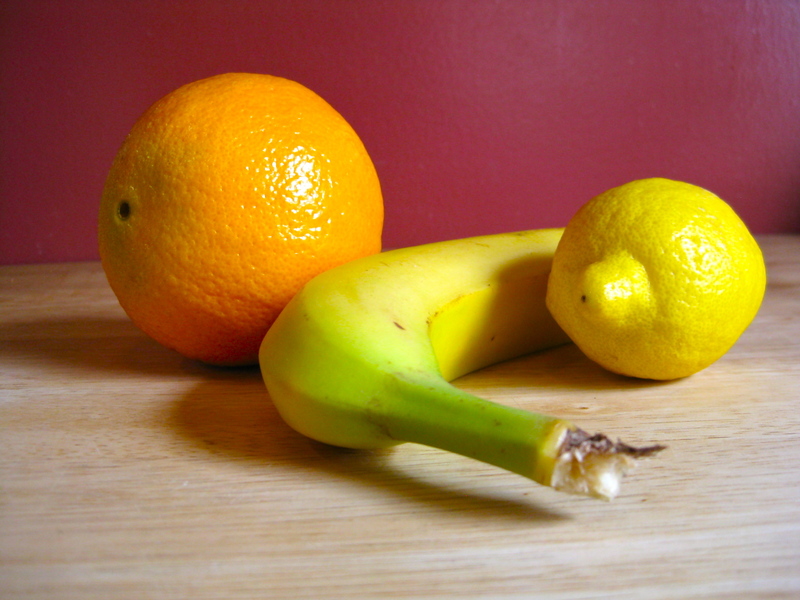 In a medium bowl, blend or mash the banana. To this, add the finely grated or chopped zest of the orange. 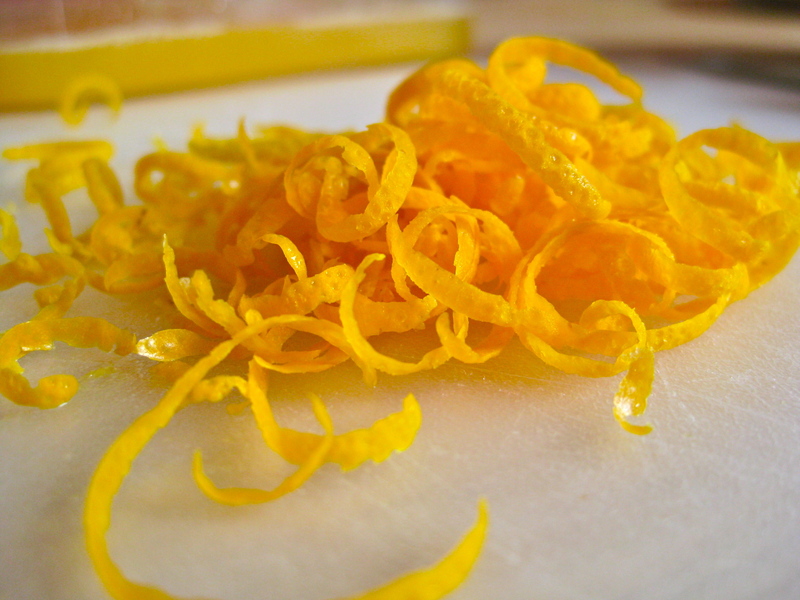 Squeeze juice from lemon and orange, and combine with the mashed banana and orange zest. Set aside. 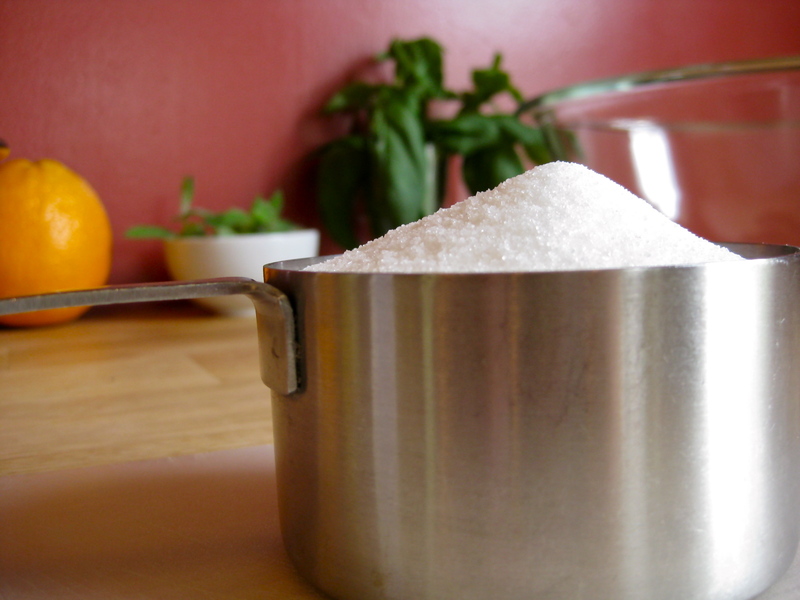 In a large bowl, combine milk, cream, and sugar. 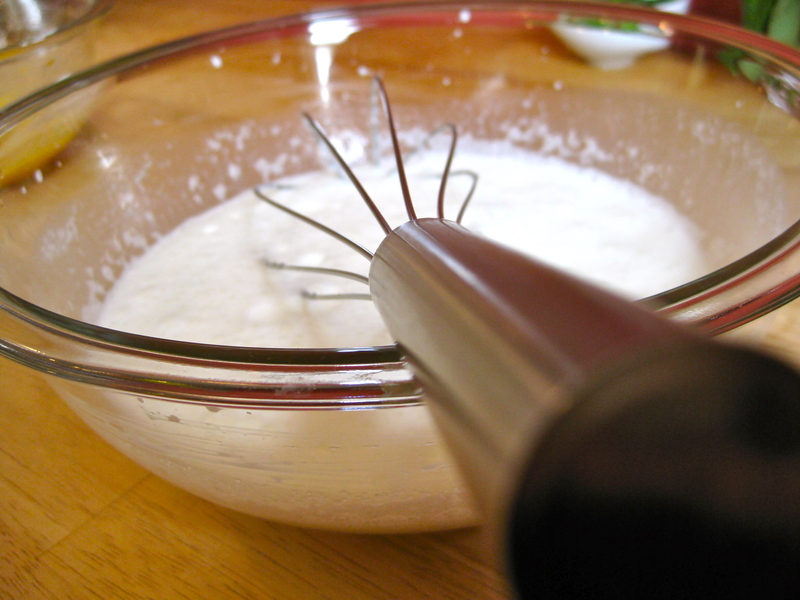 Whisk steadily until sugar is completely dissolved. 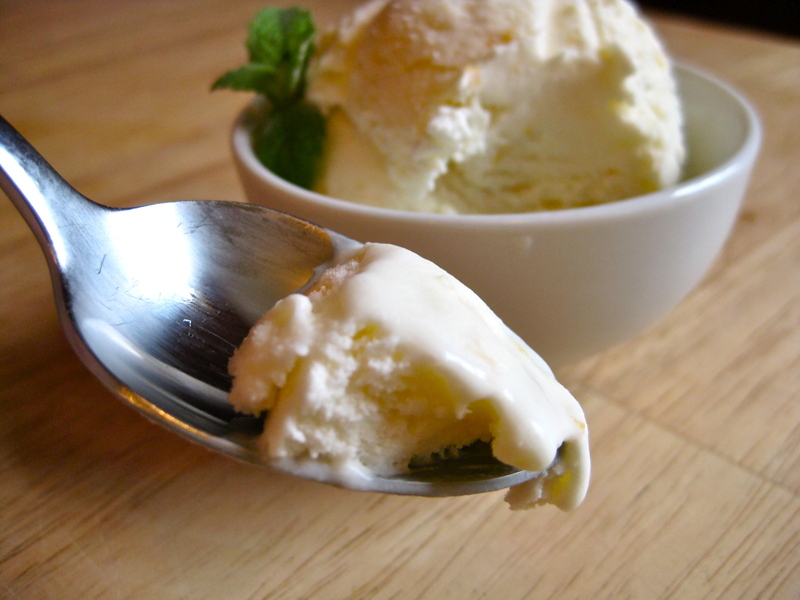 Add cream mixture to your ice cream maker, and allow to churn until it reaches the slush stage. Add the fruit mixture to the slushy cream mixture, then churn according to manufacturer’s instructions (until, that is to say, you have ice cream). Makes about 1.5 quarts of ice cream.